Finding a work-at-home job can be very time-consuming. Not only do you have to weed through the scams and sift through the various job sites to find the opportunities, but you need to make sure that the job is a good fit. Add in time for networking, polishing your resume, and practicing your interviewing skills and you’re looking at 15 – 25 hours each week spent on job hunting tasks. Want to speed up the process so that you can start making money quicker? 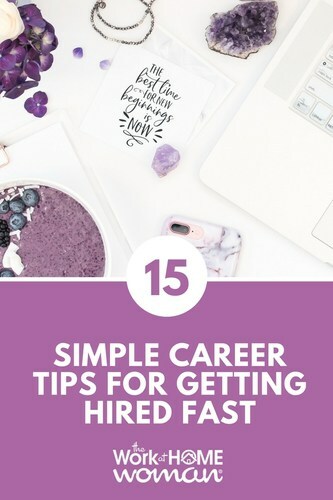 Here are 15 simple career strategies that will get you noticed and hired fast! What really influences us is finding a case study included in a resume or online application. Those candidates understood that when you're looking for remote work you're dealing with a trust issue. It is something the e-commerce industry has struggled with for years. Their solution was the before/after photo or the customer testimonial. When you talk about and show results — you show you're trustworthy and that you really know what you're doing. If you need to find a job quickly, make sure you are casting a wide enough net. The more job applications you have floating around out there, the more likely you are to get a job. However, this doesn't mean you should apply to anything and everything out of desperation. Put in a lot of applications, but be selective. You don't want to waste your time applying for jobs you're not qualified for, or that you know you would hate. Be professional at all times. No matter what type of job you're applying or interviewing for, you want to make a great impression. Working from home doesn't necessarily mean that the jobs themselves are more relaxed or less professional. Every email that you send, every phone call that you make, and every interview that you accept needs to be handled with the utmost professionalism. This will not only help you make a great impression but will also set you apart from other job candidates. If you are looking to get hired for a work-at-home job fast, brush up on the regular seasonal hiring cycles to find out where the big demands are now. Customer service and sales positions are readily available in the fall to cover the upcoming holiday shopping season. We see a big rush of job listings in educational fields like curriculum writers, test scorers, and tutors in late summer and the first of the year. While most companies do some hiring year-round, applying just before their busiest seasons may mean more openings and faster acceptance. Researching your prospective employer. Spend a little time looking at their site, learning their business model, getting to know the key executives. Bonus points for following them on social media and conversing with them in a professional way. This will help you discover the culture of the company. Most employers will not hire someone who doesn't fit their culture, despite their qualifications. Personalizing your introduction email or letter. Tell the employer why you are perfect for THIS specific job. No generic copy and paste allowed! Giving the employer what they ask for. Make sure you look at the job posting carefully. Some ask for a cover letter. Others request that a resume is pasted into the body of an email, rather than attached. At Ghost Tweeting, we ask for a sample social media post from the applicant – describing why they are excited about their upcoming interview. 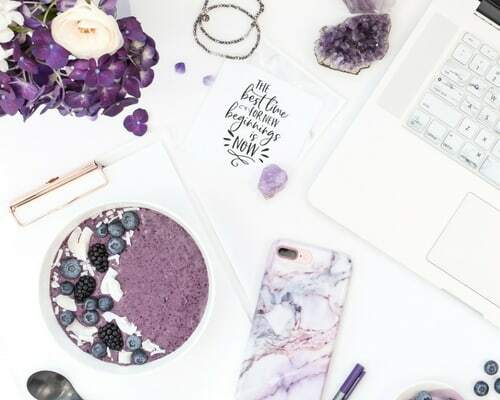 However small or unimportant you think the requests may be, if you ignore any, you will probably be immediately put into the “No” pile before you are even given a chance to show how qualified you are. people are content with simply conforming to other job-seekers and blending in with the crowd. outrageously tacky images, but putting your own unique flair into your writing and interviewing that is sure to leave an impression on the employer. than the one who came across as generic. The key to getting hired fast is telling people what you want to do not what you want to be called. work instead of describing the work they wish to do. can find the best match for you. When submitting a resume or application for a posted job, the document is almost always scanned for specific keywords. The process has become even more involved because of “The Rule of Three” where the software requires each keyword to appear a MINIMUM of 3 times. Discovering one's keywords then loading (not overloading as some “experts” claim) helps candidates get through the “Black Hole” of online applications and helps candidates get found. It is done once then it works while that candidate focuses on the other paths to employment in the social media era. Job fairs are the best way to get a job fast. Job fairs vary in size, but you can find many that host 100+ employers who are all hiring. Connecting face-to-face with decision makers is a must when it comes to getting job interviews and offers; something that online job hunting fails to do, but job fairs naturally facilitate. It would take a job seeker months, if not years, to arrange 100 in-person meetings with hiring managers if only conducting an online search. By attending a job fair, you can quickly get your resume into the hands of the company. neglected keys to getting hired lies in the questions you ask during the interview. They can be every bit as important as the questions you answer. And the best questions show not just an interest in the job, but an interest in helping the company accomplish its goals. What would the perfect employee for this job look like for you? for you? In three months? In a year? In five years? gives, the applicant demonstrates all the research he or she has done about the company. One applicant I know went far beyond checking out the company's website and online articles about the company and actually called some employees who held the type of position she was applying for as well as several of their managers. So she was able to show her understanding of the specific issues these employees faced and the ways the company wanted to deal with those issues. Bring a lead or solution into the firm. In other words, do some work ahead of time – on your nickel – to identify a new customer and/or solve an existing problem. If your work is good, the company will not only be impressed with your contribution but also your initiative – and hence will be far more likely to A) give you an interview and B) be predisposed to have you join the team. Be bold enough to tell your prospective employer exactly what value you will bring to the job within seven days of getting it. This needs to be specific, so it means doing your homework, and really putting some energy and thought into discovering the biggest pain point for that business, and (most important) how you *solve* it. If you know that the company is having trouble managing social media, you present a 30-day schedule for posts that includes topics and hashtags. If they are struggling to build their email list, you hand them a report you've written on ten ways to attract more opt-ins. Getting hired fast means forgetting the risks of coming across as too bold or too brash. You supply answers, and you solve their problems, and that's why they need you to start this afternoon. Focus on applying only to the jobs that are exactly in line with what you are looking for. We have recently hired six new staff, and I can tell you from that experience that 99% of job seekers take a spray and pray approach to job hunting. Instead of researching and taking the time to tailor their approach (resume, cover letter, finding out who to contact, etc.) to a few positions that interest them, they fire their resume and cookie cutter cover letter of to any position that seems mildly interesting. This means that the few who take the time to research the position and tailor their resume and cover letter accordingly, really stand out. I’m sure you’ve read numerous accounts of people being passed over and fired from jobs because of unsavory and unprofessional behaviors online. Don’t let this happen to you. Make sure your social media profiles reflect your professional side. Update your profile images and bios to match up with your career goals — this doesn’t mean make them boring, but if you’re an aspiring writer or social media manager, add those aspects to your profile. You may also need to change your Twitter handle or account names. While PartyGirl2010 is fun — it’s not necessarily the image you want to convey to employers. Depending on what you’ve posted online you may need to delete some updates or remove photos that could be taken the wrong way. Employers want to know that they can count on you, and finding pictures of you sipping on a drink and dancing on a tabletop — may send the wrong message. Lastly, employers are not only checking your profiles and updates, but they’re also looking at who you’re friends with. If you have social media “friends” with poor reputations, employers may question your credibility and judgment. Clean up your profiles by being judicious with who you’re connected to. Take these simple steps, and you'll remove potential barriers to the getting hired. What tips do you have for getting hired fast? Drop us a note below, we'd love to hear from you!